It’s a cool and rainy June morning in upstate Jamestown, N.Y., when I first catch a glimpse of the rustic river-rock façade of the Roger Tory Peterson Institute of Natural History. In 1984 Roger Tory Peterson, the pioneering American naturalist and ornithologist of Peterson-Field-Guides-fame, founded this scientific establishment to serve as an educational storehouse for his life’s work. Nearly 21 years after his death, I’m here to learn more about efforts to preserve Peterson’s vast and varied collection of sketches, drawings, films, research equipment, slides, letters, bird feathers and skins. Preserving and maintaining decades of Peterson’s analog works and artifacts in an ever-modernizing world is a challenging and time-consuming task, according to the Institute’s staff. They cite funds, free hands, time and technology as limiting factors affecting how quickly the institute’s collection can be preserved in long-lasting and shareable modern formats. Worldwide, tens of thousands of scientific establishments face the same problems in preserving scientific artifacts of yesteryear, leaving millions of these old and possibly scientifically valuable items in danger of being lost to time and obsolescence. When I walk out of the rain and into the Institute I almost immediately notice a detailed Peterson painting of a soaring barn owl with a prominent heart-shaped face. As I’m admiring the piece, I’m greeted by Twan Leenders, Institute president, who leads me upstairs to show me one of America’s largest and likely most valuable collections of old nature films. Upstairs Leenders and I walk into an air-conditioned room crowded with shelves of film reels. Jane Johnson, the Institute’s director of exhibits and special collections, is taking inventory of the films. She’s tasked with preserving these and the other items in the institute’s collection. Johnson shows me the degrading film canisters up close. Some are unlabeled; others are marked with short, nondescript titles like “Mexico – 51 – 52” and “Wood Ibis” on yellowed masking tape or plastic labeler tags. Johnson says each reel holds unique documentary footage shot by Peterson during the middle of the 20th century. Preserving these films, she says, is currently the Institute’s biggest archival challenge. “I’m very excited to start digging into the film collection,” she tells me. The Roger Tory Peterson Institute has preserved a few of the films, including Wild America, Wild Africa and Wild Eden. “This gave our staff a glimpse into the types of footage contained on the films,” says Johnson. Once given some TLC, these artifacts shed some new light into the scientific work contained in Peterson’s many mysterious, often unlabeled canisters. 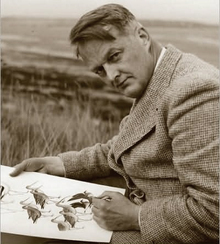 Based on these first restored recordings and the story of Peterson’s life, Leenders says, he expects the total scientific value of the footage to be enormous. He adds that Peterson was involved with many high-profile conservation efforts in globally important research areas like the Galapagos Islands and Coto Doñana in Spain. The reels, he says, could contain abundant images of extinct or now-endangered species, and habitats that are now destroyed or threatened. To look back in time through artifacts like Peterson’s footage requires an intensive preservation process, according to preservation expert Ian Bogus. Bogus, who now works as executive director of the Research Collections and Preservation Consortium at Princeton University, formerly directed preservation for university libraries as the MacDonald Curator of Preservation at the University of Pennsylvania. Libraries are filled with artifacts containing possibly valuable scientific data; to uncover what each artifact contains, he says, requires an often-intensive preservation process that starts with some important decision-making. With old footage, Bogus says, it’s impossible to stop the degradation of a deteriorating film, but it is possible to slow the process. Decaying films should be cooled, which decelerates the chemical deterioration process by four to ten times, allowing the film to be usable for a while. Amber Anderson, registrar at the Cleveland Museum of Natural History, says the practice of preserving and caring for objects at her institute is constantly evolving. Keeping items accessible and in good shape requires keeping up with new preservation technologies. Anderson’s staff uses grants to fund 3-D printing projects to make replicas of fragile specimens, such as fossils, for use as educational tools to avoid damaging the originals while sharing knowledge with a wide audience. Outside the scientific world, there’s a growing effort to preserve artistic artifacts, particularly films, before they’re lost. 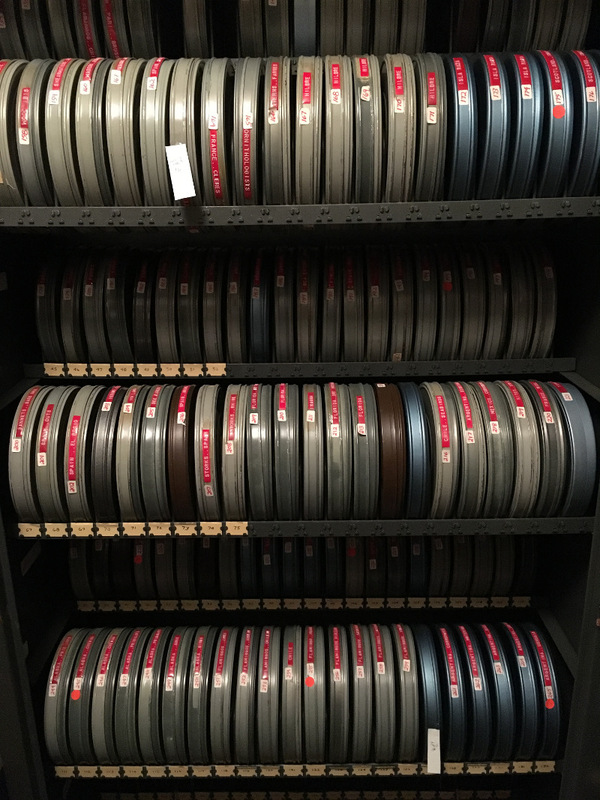 Virtually every library and art museum has its own preservation staff, and groups like Obsolete Media Miami — run by artists — are working to preserve 35mm slides, films and film equipment so they can continue to be viewed and enjoyed. Science and art, it seems, are two disciplines that are too valuable for us to lose to time. The Roger Tory Peterson Institute is moving forward with the preservation of its founder’s footage, but it’s been a slow and arduous process. 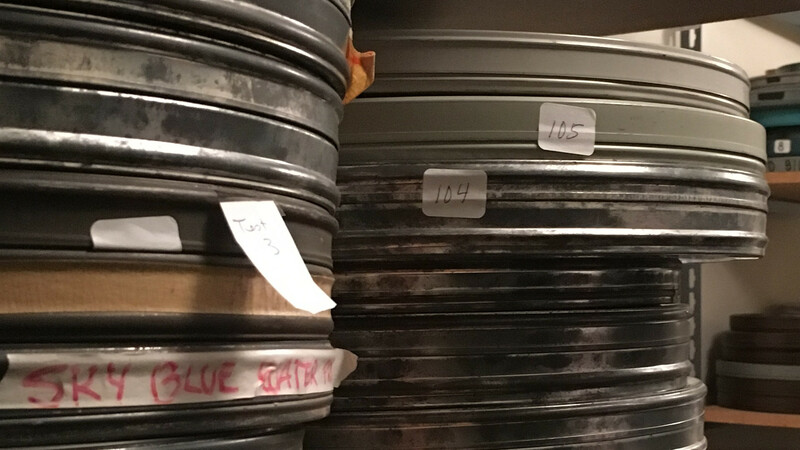 Since my visit in June, the film preservation project has still not gone into full swing — it’s just one part of Peterson’s vast and important collection that needs continued attention. Preservation of historical scientific and artistic works could help instill an understanding of Earth’s past, present and future ecological conditions. For example, just this month scientists at William and Mary College announced a project involving the examination of digitized herbaria records to determine how human development has affected monarch butterfly habitat.